Throwdown Esports, Oceania's esports community for grassroots to professional gamers, has partnered with PUBG Corporation to host a new esports tournament - The Throwdown PUBG OCE Open Series. The event will offer the opportunity for brands to engage PUBG’s 277 million fans, with over 2000 players are expected to register and take part in the tournament. Previously brands including MacDonald’s and Omen by HP have sponsored Throwdown’s tournaments, with a major sponsor yet to sign on for the upcoming event. Virginia Hyland, founder of Programmatic Media Managed Services has appointed Rohan Mehrotra as the company's general managed. “I am thrilled that such a strong industry leader within the digital and programmatic space has joined Programmatic Media consultancy to lead the managed services team. Rohan is a well respected leader within the programmatic field. He has over 14 years in digital & programmatic advertising expertise" Hyland said. Mehrotra will also be helping businesses develop a single view of their customer – both online and offline. APN Outdoor has won a competitive tender with VicRoads for the exclusive rights to develop a new portfolio of signage on the Princes and Western Freeways in Melbourne. As part of the new contract with VicRoads, APN Outdoor will build 10 new signs on both freeways, offering advertisers freestanding and bridge-mounted digital and classic signs. The new agreement between APN Outdoor, which also holds advertising contracts for the Tullamarine Freeway and CityLink in Melbourne, and VicRoads is effective now.The first of the new sites are expected to be developed by mid-2019. APN Outdoor CEO James Warburton, said: “We are delighted to extend our relationship with VicRoads and add to our already strong portfolio of consumer connection points on Melbourne’s key freeways. 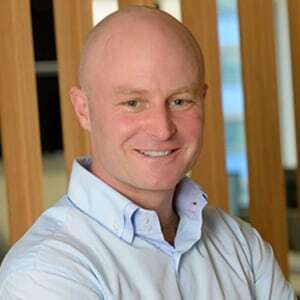 Ben Sharp has joined people-based marketing company Pure Profile as its head of revenue and operations ANZ. In the new role, Sharp will oversee the sales process from business development to delivery with a focus on simplifying product offering across all business units. He will commence the new role on 24 July. Most recently, Sharp exited as MD of Association for Data-driven Marketing and Advertising (ADMA) after just two weeks with the organisation. Google's flagship advertising products are getting a consumer-led streamline and rebrand. As a result, there will now be three primary brands. Google AdWords is now simply Google Ads; the DoubleClick advertiser products and Google Analytics 360 Suite are now combined as Google Marketing Platform; and DoubleClick for Publishers and DoubleClick Ad Exchange become an easier-to-use platform titled Google Ad Manager. This is all designed to reflect their increasingly beneficial capabilities, and where Google see room for growth. The company are also advancing solutions to simplify its ad offerings. The Works has added to its senior leadership team with the promotion of Nathan Bilton to the role of creative partner. Bilton, who has been at The Works for ten years, started as a copywriter, joining after completing AWARD School, later becoming creative lead. As creative partner, Bilton will lead the News Corp business in addition to working with other clients across the agency. Bilton said: “The partners, Kevin, Damian and Douglas, took a bit of a chance on someone with negligible advertising experience. Hopefully, I’ve repaid their gamble. I’ve been lucky to work with, and learn from, some great people at both The Works and via our clients and I'm looking forward to big things with News."